Would you know how to apply first aid if your pet needed you? The reality is most of us don't live within 10 minutes of a vet. Animals are notorious for wanting to explore, try new things and even eat unknown substances out of curiosity. If your pet suffers an injury due to their inquisitive nature or becomes ill for other reasons, it is up to you to take responsibility and ensure they receive the appropriate treatment. This Pet First Aid Quick Reference Guide will show you how to respond to the most common First Aid emergencies and could potentially save your pet's life. The most important thing to remember is to contact your vet and get your pet examined as soon as possible. 1. Severe life threatening, requiring immediate attention at the vet (i.e. most of the following). 2. Severe non-life threatening, requiring immediate attention at the vet. 3. Minor Emergency not requiring vet attention unless your dog's condition worsens. Checking that there is nothing blocking the pet's throat and trachea - if there is then try to remove it. Then place the pet on its side in the rescue position with the neck extended to ensure a clear airflow to the lungs? High body temperature (> 39oC) or skin hot to touch. There is vomiting, excessive drooling, rapid panting, difficulty breathing, distress, loss of coordination, weakness and collapse. Remove your pet from direct sunlight / remove from vehicle. Bring into cool shade /cool tiles / air conditioned room. NEVER use ICE or very cold water. Instead cool the animal with tepid water instead. Limb deformities, unable to walk, collapsing chest. Might run away and hide. carefully restrain the pet and carry it to the vet on a home- made stretcher. Apply a muzzle to prevent biting. Apply a thick padded bandage (Robert Jones Bandage). Be very careful that the pet does not bite you, as it will be in pain. Direct digital pressure, pressure bandage, tourniquet, pressure points. Distress, disorientation, bluish gums, pawing at mouth, wheezing, gagging, attempts at vomiting. If your pet cannot breathe or has collapsed. Get it to the vet ASAP. If you can see something protruding from the mouth carefully try to grasp it with a pair of tweezers. Be extremely careful not to force it further down or to even get bitten. Small animals. Can be lifted by the hind legs to help dislodge the object. Give 4-5 sharp blows to the shoulder blades the heel of your hand. Do not use excessive force particularly in small dogs and cats. Use clean gauze bandage or other non-stick dressing and get your pet to the vet ASAP. Beware of any live power lines. Move the pet away from the electricity or source of heat. Skin lacerations, bite marks and bleeding or pus. Could just be soreness or swelling (cellulitis). Take your pet straight to the vet as there may be many more wounds and even worse damage than you can readily detect. Again be careful the pet does not bite you. It is important to identify the snake venom – this can be done with an intact (dead) snake or using a Snake venom detection test. Make sure you are not providing a habitat that promotes these sorts of pests – i.e. piles of wood or storing other items in the back garden. Finding tick early is crucial no they are more easily found by touch than by looking. Gently feel all over the pet's body including between the toes and around the neck. Remove the tick ASAP - use tweezers to remove the whole tick. Use a modern anti-tick Preventative. Always take your pet to the vet even if they appear perfectly well because they could still have toxin in them that can cause paralysis and death days later. Seek veterinary Attention. As some dogs have a habit of catching and eating flies, these dogs can have a severe reaction. Antihistamines are essential. 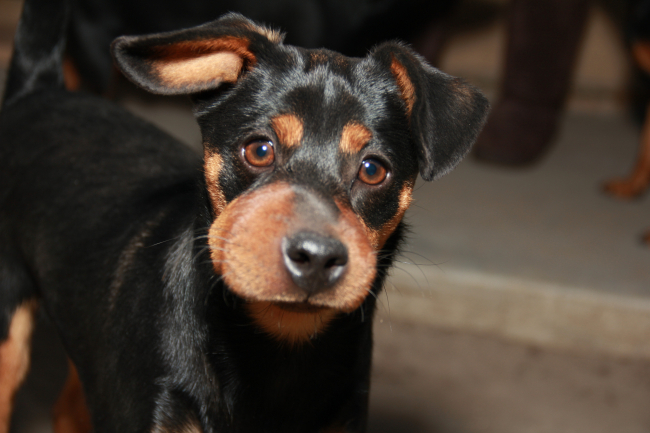 Always loosen or remove the collar of a dog that has been stung by a bee so that it won't asphyxiate. Dogs are usually poisoned beating the baits while eating the poisoned rodent generally poisons cats. Signs include weakness, pale gums, staggering, and bleeding. With any kind of poison do not make your pet vomit unless directed to do so by your vet. Collect and record any material consumed, collect any vomitus, and take your vet to your vet immediately. Anxiety, vomiting, diarrhoea, excessive panting, excessive drooling, uncoordinated walk, muscle tremors and convulsions. Under your veterinarian's direction induce your pet to vomit. Then take your pet immediately to the vet clinic where they can induce the pet to vomit and to give an antidote if appropriate. Use an environmentally safe method such as a Belgian beer trap. Always take the packet with you to the vet. Rapid onset of excessive salivation, seizures, pawing at mouth, red gums. In cats only vomiting, hind limb lameness and trance-like stare. 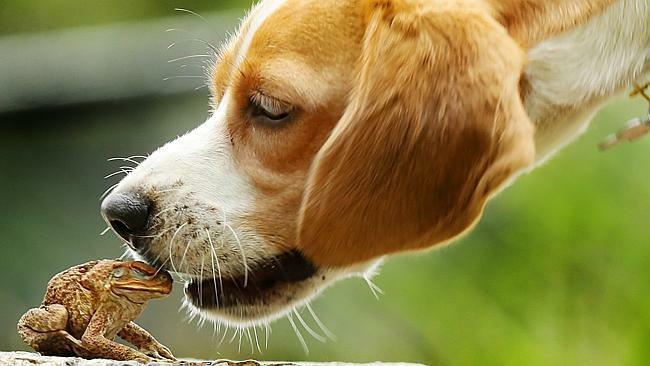 Thoroughly rinse out pet's mouth with water (from hose) to remove all traces of toad venom. Never aim the water down the throat. Take your pet straight to the vet. Use a form of sweetener other than xylitol. Syrup/honey if they've ingested Xylitol to keep their blood sugar up? 1. Do not induce vomiting unless the vet directs you to do so. By all means, try to get your pet to the vet ASAP. If the vet instructs you to induce your pet to vomit then you can use any of these: hydrogen peroxide 2.5 mL per 10 kg slowly by mouth, salty water. Be careful not to get this in your pet’s airway as you administer it. 2. Do not induce vomiting it is a caustic agent. Wash your pet down with soap and water, using lot of fresh water to dilute the agent. 4. Can I give my dog bones to eat? 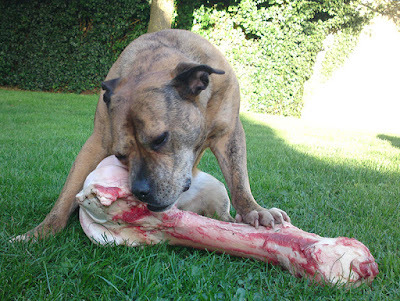 With the raw food movement growing, many vets are discouraging the feeding of raw meaty bones due to the risk of choking, tooth damage and fractures, as well as intestinal obstructions and bowel impactions. In addition to this, if an owner decides to feed bones then they often feed the wrong kind of bones: cattle bone should be avoided, as these are too dense for dogs to eat. Dogs often bury bones and then dig them up at a later date. This cannot be good for them. Here is a very practical and useful kit to have on hand. You can keep it all in a plastic box within easy reach or in the car when you travel. 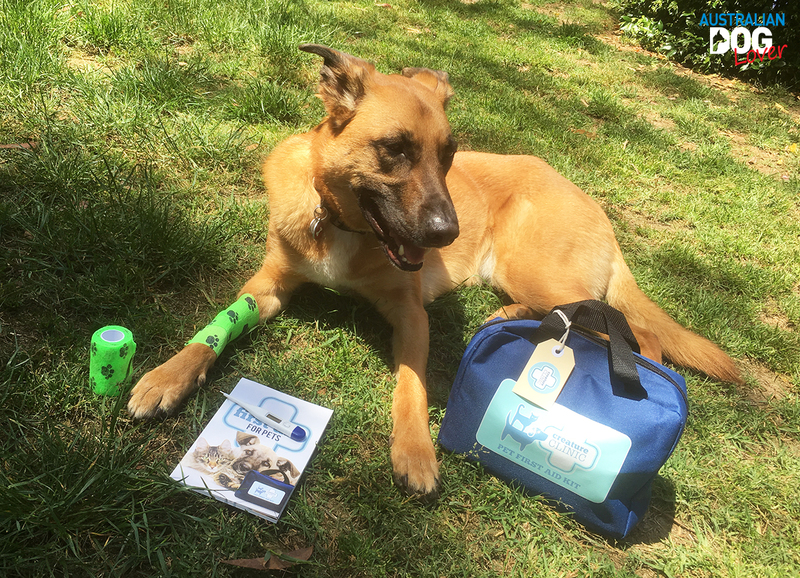 Every pet owner should consider undertaking a pet first aid course such as the PetAware™ Pet First Aid and CPR course where you can learn special first aid techniques such as pet health assessment, Rescue Breathing and CPR in a practical hands-on way. 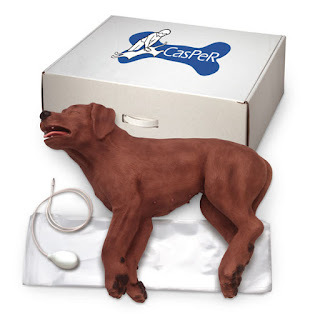 You will also learn the correct way to resuscitate your pet using a special “CasPeR” resuscitation mannequin dog. You will find more information on where you can undertake one of these courses here. Dr. David Horan (BVSc, PG Dip Ed) has been a veterinary surgeon for 25 years and has worked for several years in Veterinary Emergency Practice at the NWAEC at Baulkham Hills, now part of ARH (Animal Referral Hospital). 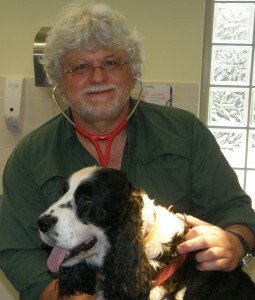 Over the last eighteen years David has chosen to work as a Mobile Vet in Sydney and all around the country, setting up the Vet2u.net Mobile Vet Clinic in 1996. He has lectured to Veterinary Nurses and Animal Technicians around the state with NSW TAFE. He is currently studying for his Masters Degree in Veterinary Education along with undertaking intensive training in Veterinary Acupuncture. He's also the founder of the Animal Care Academy.